Cats are normally fluffy and cute but when you add water they turn into monsters!! 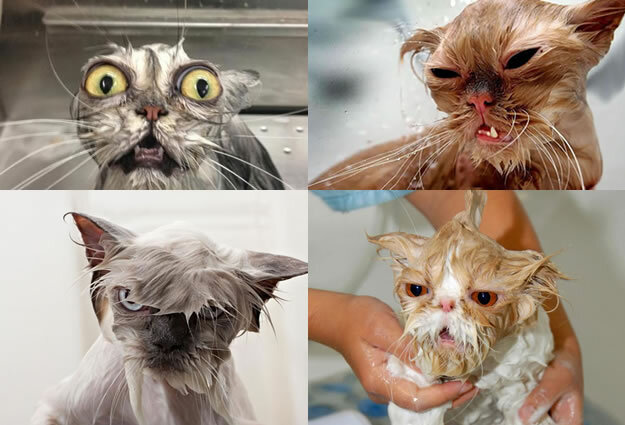 Check out these hilarious pictures of cats undergoing wet cat grooming. I guess they don’t have a sense of humor when it comes to bath time! 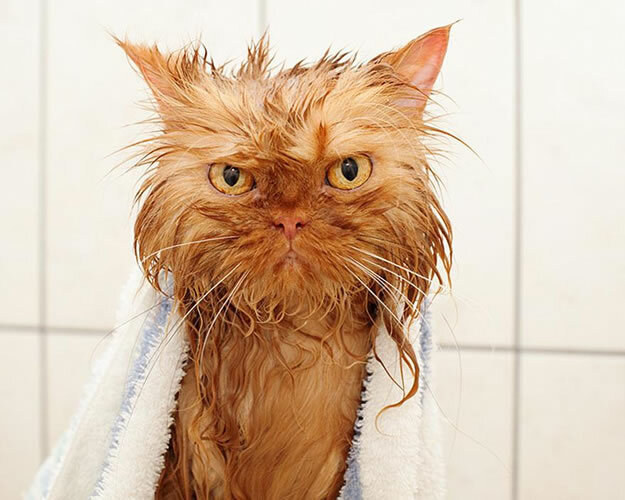 Everybody knows that most cats hate water, the wet fur weighs them down and makes them look pretty ugly too. 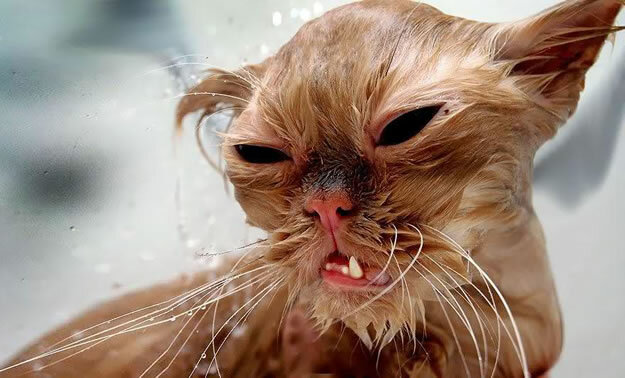 But the main reason cats hate water is because they are unable to regulate their temperature when their becomes wet. If you can train your cat at an early age to take baths then they will get used to it and may even start to enjoy playing in the water. Some big cats like the tiger actually enjoys being in the water, they take baths to cool done in hot countries. As tempting as it maybe to give cats a bath you should try to avoid it, if water enters the ears it could lead to infections or other health problems. As long as a cat grooms itself regularly it will stay clean for the rest of it’s life.